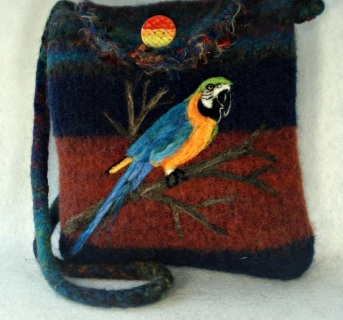 DESCRIPTION: I have made some parrot custom purses but I wanted to create another for Etsy. Here it is. It's a beauty. 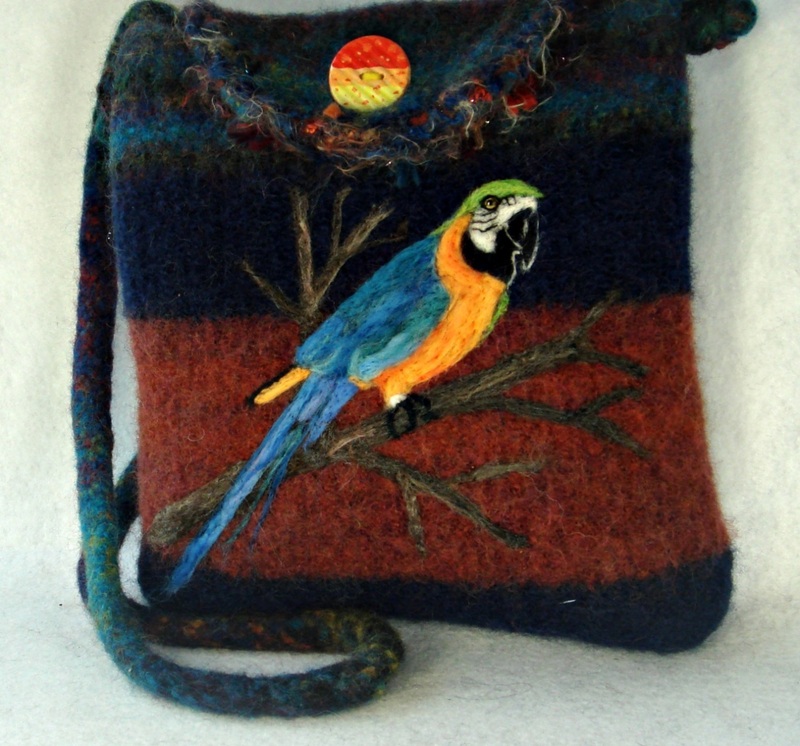 This colorful bird is needle felted on a multi color bag with muted colors--perfect to highlight the parrot. The measurements are: 10" X 11" X 2.5". The ADJUSTABLE strap has a 24" drop but can easily be shortened. Gorgeous! 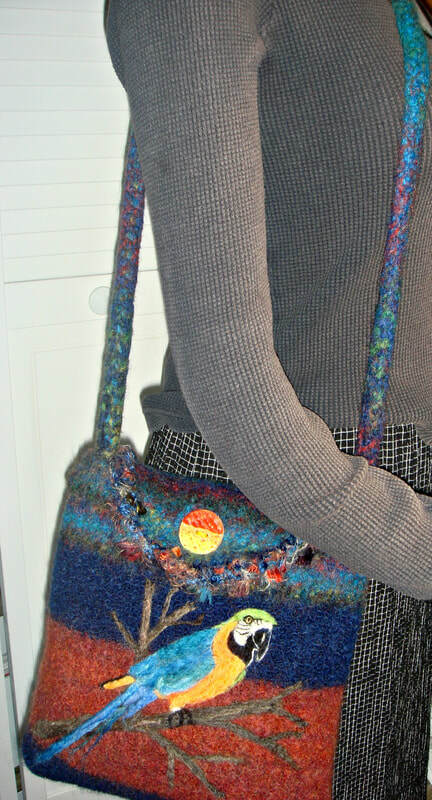 A hand knit, felted and needle felted wool purse. 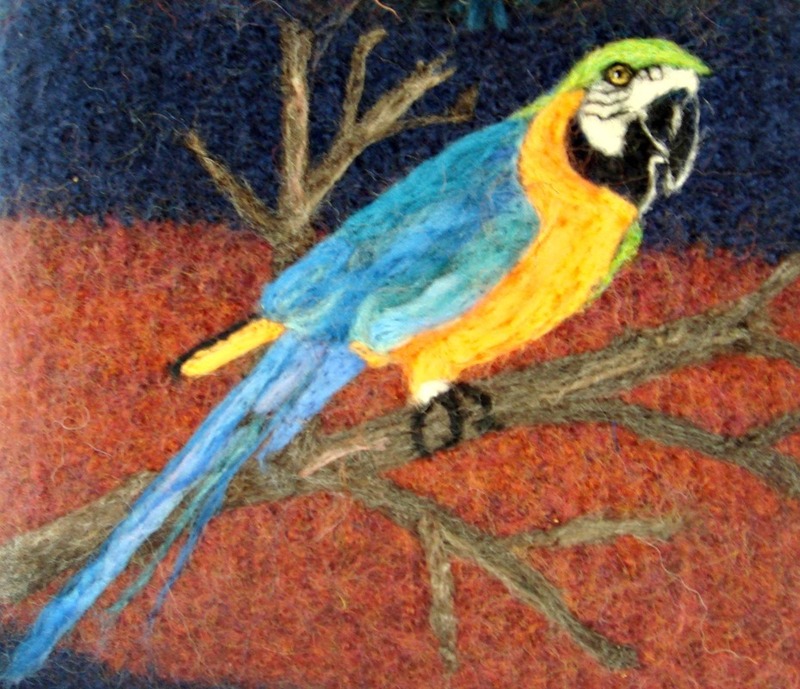 The art work is created by me with one or two needles--not a machine, which provides me with the ability to create a 3 D effect. MEASUREMENTS: 10" X 11" X 2.5"